Why Buy from Prestige Motors? For starters, we have two locations—Pasco and Yakima—as well as a fine selection of pre-owned cars for sale. Whether you're looking for a quality SUV with seating for five or you need a high-powered sedan with optimal EPA ratings, we've got something available now. When you need a dealership in either Pasco or Yakima, Washington that offers excellent sales, service, and finance options, come to us. Check out our used car specials in Yakima and Pasco, WA and enjoy our like-new sedans and SUVs. We have financing options and lease offers available so don't worry about finding the funds. The professionals at Prestige Motors want to help you inside your next pre-owned car, so we invite you to look at our selection of specials. Whether you need a large van to move your children in or a fuel-efficient sedan to get you to and from work, we've got it. Contacting our dealerships in Yakima or Pasco, WA will provide you with immediate clarification. We can help you find the car you're looking for, whether it's on our lot or not. Find a used vehicle for sale with the help of our team! We have the answers, all you have to do is ask questions. We can help you navigate our credit application or leave a review. 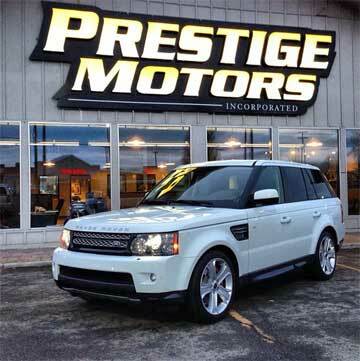 Everything is easier when you do business with Prestige Motors—you'll see.